Faith is foundational to our everyday ethical decisions, thinking, and behavior. We believe each of us should pursue excellence in everything we do, working hard to be all we can be, and Trinity School will, as an institution, pursue excellence in all aspects of school life. We prize learning both as the outcome of hard work and as the life-long process by which wisdom is gained. We cultivate a passion for learning in all that we do in and out of the classroom, in our curriculum and instruction, in our many extracurricular activities, in our life experiences, and when solving the problems with which we are faced. We celebrate the School's traditions, practice good manners, support friends and peers, and show respect and appreciation for both those in authority and those we serve. We respect individuals and acknowledge the differences among us. We value the fact that each person is gifted with unique abilities, talents, interests, backgrounds, and challenges. We endeavor to be responsive to differences in readiness to learn, in styles of learning, in ability for various pursuits, and inclinations and interests. 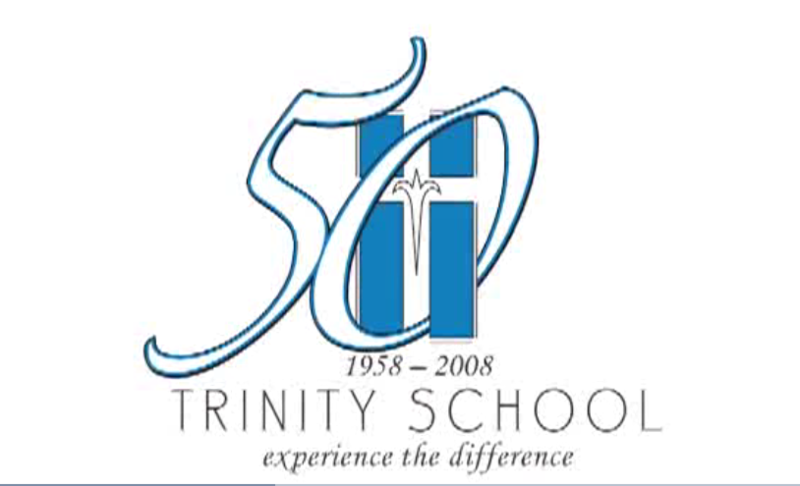 We who are Trinity School come from diverse social, economic, family, religious, and ethnic backgrounds. Each of us contributes to the quality of the school, and we learn from each other as we are challenged by differing opinions, ideas, beliefs, and presuppositions. Each student's education is made richer by full participation in the extracurricular opportunities of the School. Commitment to community service, student government, athletics, studio arts, performing arts, daily chapel, clubs, and international programs will bring out hidden talents, cultivate interest, and make us well rounded, healthy persons. Positive leadership is modeled, practiced, and encouraged by giving students opportunities to develop their God-given talents and to strengthen their skill in decision-making, team-building, and conflict resolution. Service within the School and to the community and beyond fosters social responsibility, forms character, and builds confidence in persons who learn they can have a positive impact and make a lasting difference. A Trinity student will . . .
Episcopal Day School established by the Episcopal Church of the Holy Trinity. Kindergarten and first grade were offered at the church. Construction began on a new facility located on twenty acres of property donated by William B. Blakemore II. The school opened with grades K5-7 on Wadley Ave. The School was reorganized as an independent school, Trinity School of Midland, no longer under the auspices of the Episcopal Church. A new Upper School complex was completed, now the Simmons Building. At 49 members, the Class of 2015 was Trinity's largest. The de Compiegne Upper School Building and new Commons are finished as part of the Campaign for Trinity. Campaign for Trinity concludes with two renovations, the Fine Arts Building and the Blakemore Children's Library.